Dr. DeFoore's Healing Anger Newsletter entitled "Honoring The Internal Protector"
Hi, learn how to honor your internal protector. What Is The Internal Protector? How Do I Honor My Internal Protector? A helpful new web page! 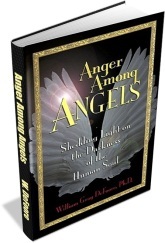 Learn about the The Angry Mother, and how she got that way. No mother wants to hurt her children, and yet as the stress, frustration and finally anger build, that's sadly what sometimes happens. If you or someone close to you is now or has been an angry mother, this page will help you understand and heal. New visitor-contributed pages, such as Loss Of My Mother And Difficulties With My Grieving Family. Well, in a word, it's your anger. Anger is originally a protective emotion, which gets triggered when you feel threatened or opposed in any way. When your original, protective anger was punished, ignored or squashed, it had to retreat to the shadows of your subconscious mind. It didn't go away, it just became more primitive in its methods of protection. So, what started out as a healthy, normal protective response has become some version of resentment, rage, bitterness, depression or anxiety. These are the results when we don't get to develop the healthy power of the natural protective emotion of anger. The internal protector then becomes destructive, to you and to others. It's like a wounded warrior who has become blind and unfocused in her rage, striking out in all directions. It's still a protector, so it is still good at its core--but it becomes very dangerous, just like any other wounded animal does. Your job is now to get to know the wounded warrior, and heal the noble protector of your anger, so that it can work for you and not against you. If it's clear to you that your anger is originally and naturally a protective emotion, then you've already taken the first step. Let your anger speak. That is the sole purpose of the anger journaling exercise, which is simply a way to get your anger out on paper in a safe and healthy way. Review and revisit your memories of those times when you needed protection and didn't have any. These were the times when your internal protector wanted to protect you, but wasn't able to for some reason. Feel the anger related to those events in your life. Acknowledge it as a protective response. 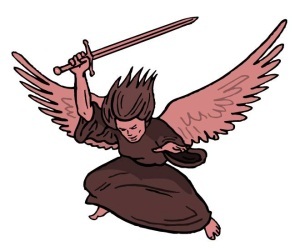 Now imagine your anger as a protective angel or other similar image that is both fierce, angry and good all at the same time. Now speak to this wounded protector in your mind, saying, "Thank you for trying to protect me all of these years. I know it has been a difficult journey for you. I want you to know you're no longer alone. I want to work with you to create a safe, healthy and beautiful life going forward." Finally, make a list of all of the ways that you currently protect yourself emotionally, and label each one as "healthy" and "unhealthy." Build on the healthy ones, and begin developing an image of your healthy anger as a spiritual warrior, totally devoted to your health and happiness. If you did the above exercises, you may be feeling some powerful emotions right now. If not, then that only means that your anger is locked away out of your reach. Keep trying these techniques, and you may be able to break through your internal barriers and connect with your good and noble heart. When you heal your heart and the powerful internal protector within you, your capacity for creating a joyful and healthy life will be greatly enhanced and expanded. 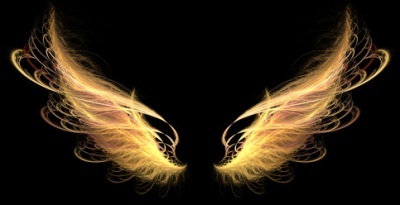 "I really liked Anger Among Angels. You are so passionate about embracing everything in our psyche and alienating nothing. Reading your book comforts me."